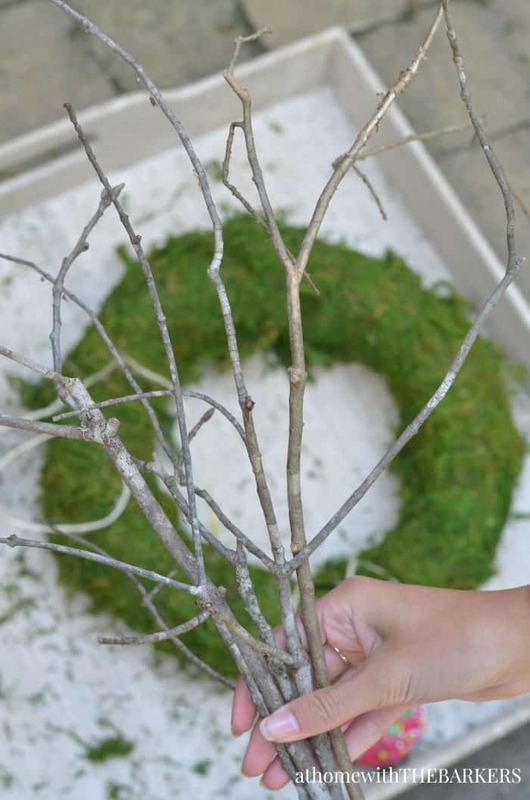 I sure hope you are ready for fall because today I am sharing my Natural Fall Wreath and some awesome bloggers are joining me with their own fall wreath. 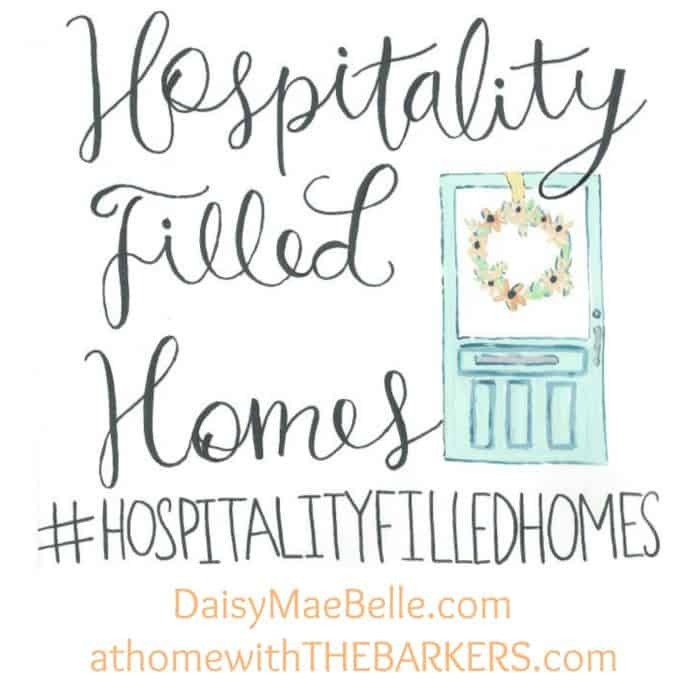 A couple of weeks ago I shared with you about a new series that will pop up on the blog throughout the year called Hospitality filled Homes. The main idea is to create a home you love while loving on those you share it with…family and friends. 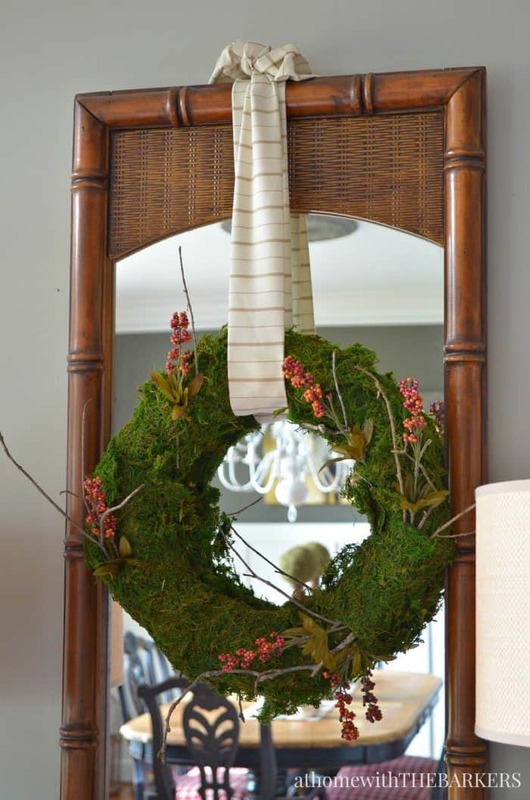 Wreaths are a great way to make a home feel warm and welcoming. 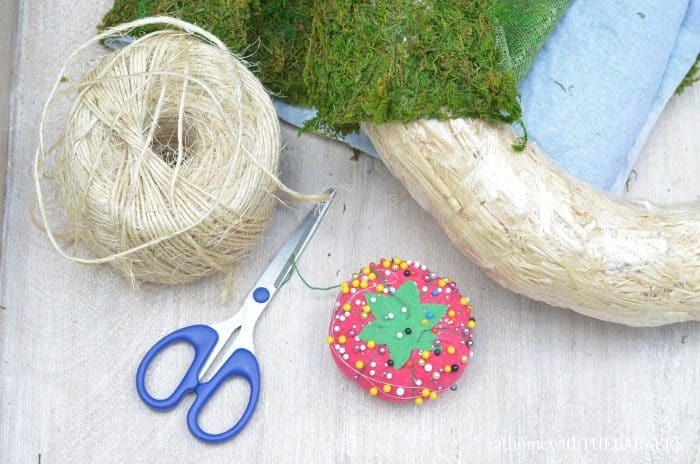 Whether you buy one ready made or you like to DIY your very own, wreaths are a great touch to every home. 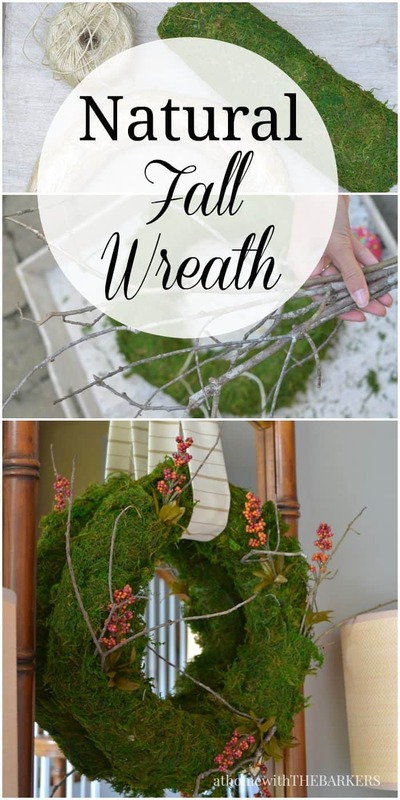 Since I’m thinking most of you read my blog because you like to tackle your own projects I’m going to show you how I made this easy natural fall wreath that will work any where in your home. 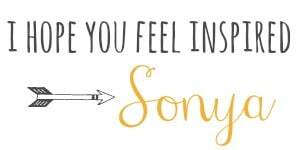 You will find more inspiration at the end of the post from some other talented ladies. I started with a straw wreath that I have used many times. 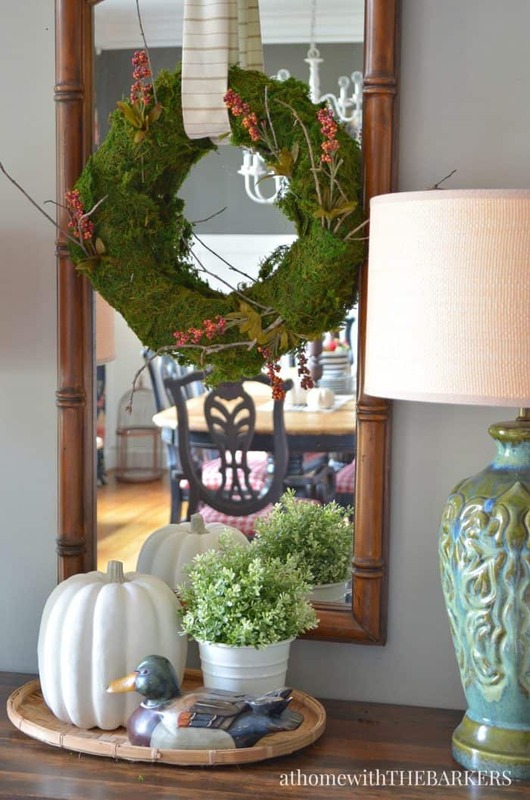 If you read my 3 decorating secrets for fall you will know what I’m talking about. I usually have sheet moss on hand but I was out so I purchased a roll at Michael’s with a 40% off coupon. I started tacking down the moss from the corner and I used pins to hold it in place. Be sure to use dark top pins or place them in discrete areas, not need for those Once I wrapped that piece around I cut it with scissors. There is no real pattern to cutting the moss. I did it on big random pieces because I didn’t want it to look too perfect. I gathered small twigs from my back yard. FREE, I love free. 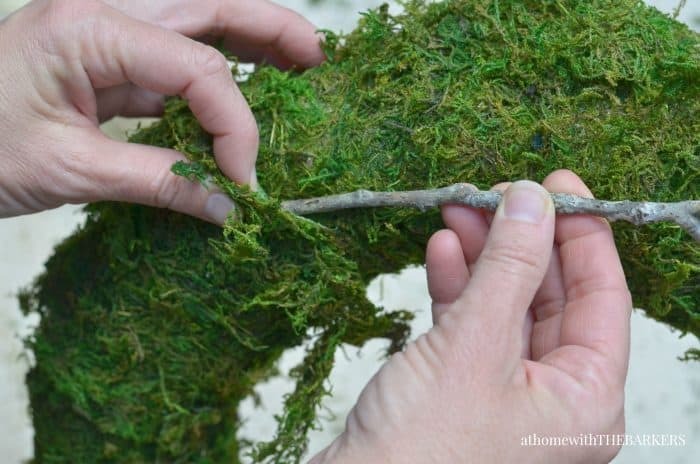 Then I tucked them into some of the openings where the sheet moss was overlapping. I found the berries in the attic with a bag a greenery so I snipped off some of those to add a little color. 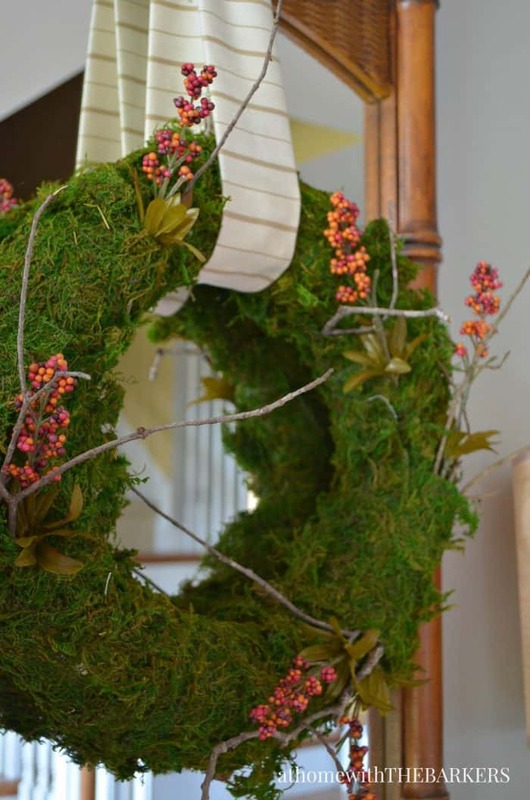 I decided to hang this wreath in my foyer where it would be see a lot. Just as much by guest as it will be by the entire family. We have an open foyer to the dining room, stairs and living room. You could hang with ribbon or fabric like did here. I had this fabric I plan to make pillows with (one day) so I cut a strip, folded it in half, ironed it in place and hung it up. If you’d love more fall inspiration you can see my 2014 Fall Home here. Love all the moss and twiggy texture – so pretty Sonya! So fun joining you on this blog tour! Love the moss and twigs — so pretty! How pretty! Love this look for fall my friend! 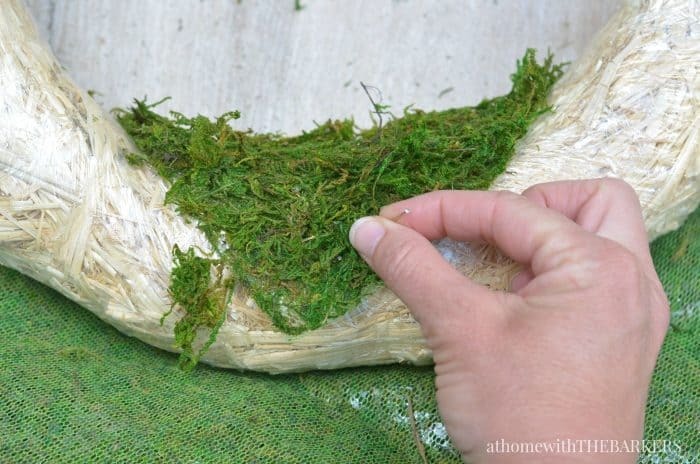 I think I need to make a mossy wreath!! Thanks for the tutorial, and for inviting me to join! 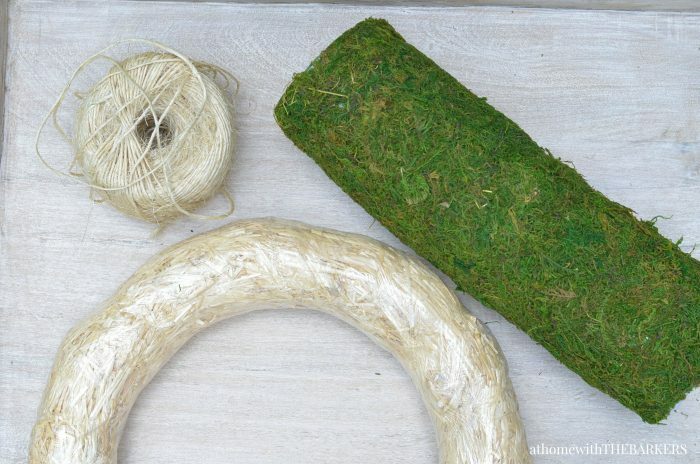 I had No idea you could buy moss by the roll. Your wreath turned out beautiful. Thanks for sharing it at the Create-Share-Inspire link party. We hope you come back again soon.